[QUOTE="Noxia, post: 5457597]Will Nintendo make any games aimed at adults, or stick to their usual market? Will Nintendo make any games aimed at adults, or stick to their usual market? Steel Diver & Pilotwings Resort? While Pilotwings uses Mii-like disproportioned characters and is kinda colourful, the whole flying with different kinds of.. things is probably fun for adults who think Marios etc. are too kiddy, too. And Steel Diver is a semi submarine simulator. Not really that much of a kid's game, me thinks. Cave Story will be a great 'adult' game as such. Requires a bit of thought etc. 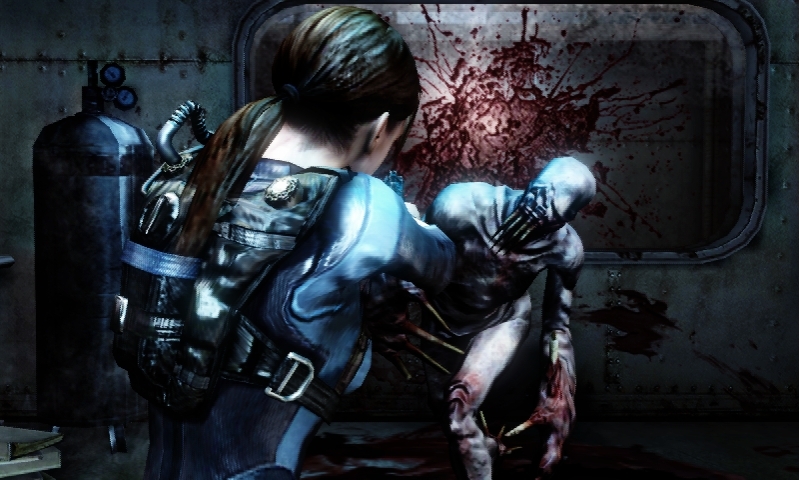 Resident Evil Revelations, you can't get more adult than that! Yes that is running on the 3DS. Check the trailer out if you get a moment, it's worth it. The 3DS Layton should be good too if you want to engage your brain. It also has a kick *** art style. So what more di we get out of GDC in case I forgot something? I'm sure I'm missing a few things. Apparently the 3DS has become Nintendo's highest preordered device in the UK. They're hoping for over 100,000 come launch and with three weeks to go yet they're fast approaching that goal. Well I've got mine preordered now! £197 on launch day. oh man, all my wife has to do is see the paper mario screens, and this is a day one purchase for her lol. She lubs some PM. 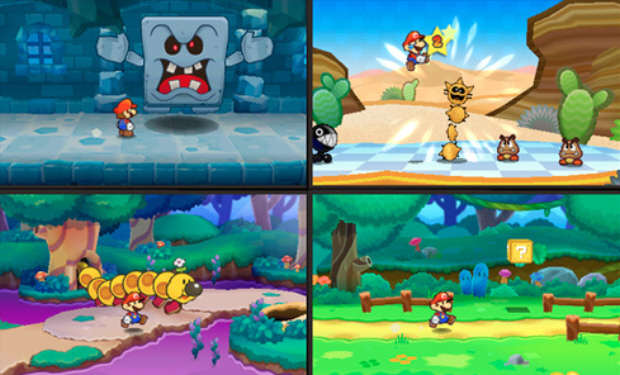 Paper Mario already looks pro and we know nothing about it yet! Also, congrats to Nintendo for making the gayest TV ad ever. I've not wanted to punch so many people in an advert since that Wonga one. Zelda comes out in June so you'll be ready to roll come July. If Zelda is out in June then I'll be ready in June Dunno how it's gonna work though, control wise. Do we know what games will be available in the online store from launch? Is there any word on how big an SD car you can put in it as well? I can't see 2GB lasting long. Nintendo might continue to force ridiculously small max sizes for games like on Wii (it's, what, 40MB?). If they do, then 2GB is plenty for 40-50 original games or hundreds of Classics. Ah ok, I didn't realise the size. I'm really tempted to get one on launch and just tide myself over with some DSI games. Namely, Chrono Trigger. Saw an advert for the 3DS for the first time yesterday - I did wonder how they would try to visualise the 3D aspect and I have to say it came off pretty well - the idea of a 3DS Roadshow is an excellent idea. The 3DS will sell gangbusters. I read on Gaf that they don't think there is a limit to the SD card size. I'm sure people have tested them with SDHC cards and it worked. Sorry but I just dont see the point of 3D gaming on a screen that small it's just another marketing money making scheme by Nintendo. [QUOTE="Danny2304, post: 5464182]Sorry but I just dont see the point of 3D gaming on a screen that small it's just another marketing money making scheme by Nintendo. It's 3d depth doesn't matter on the size of the screen. It works and it's awesome. Can't wait for mine. Just 16 days in the uk!! Is it bigger than PSP Go screen? O found that adequate enough. So it's a tad smaller, but still quite comparable to it. [QUOTE="Azu, post: 5465135]3DS = 3,53"
Thanks Azu. Don't have proper net access at the moment otherwise I'd check. I think it will be fine but I know of they release an XL I'd be all over it like White on rice. A little over two weeks to wait now!! Could it be...I am sleeping? Is there a list for launch games ? I'd say keep an eye on Pilotwings Resort, Steel Diver, Super Street Fighter IV 3D Edition, Ridge Racer 3D, Rayman 3D and Tom Clancy's Ghost Recon: Shadow Wars (<- especially if you like turn-based strategy games ála Advance Wars, Fire Emblem etc. at all, it could turn out to be the best launch title). Hmmm to be completely honest, the only thing that interest me from that particular list is Super Monkey Ball 3D. I'll do and keep an eye for Tom Clancy's strategy game though. Will it be long for games such as Paper Mario, Zelda, Icarus to be released? 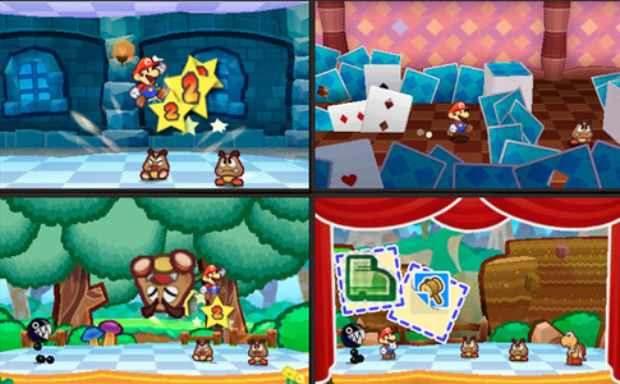 I was only interested in the 3DS when I heard about Paper Mario. I mean the possibilities for this game are already endless. Cannot imagine what 3D can add to the game.